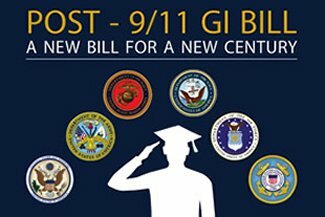 The Post-9/11 GI Bill® is for individuals with at least 90 days of aggregate service on or after September 11, 2001, or individuals discharged with a service-connected disability after 30 days. You must have received an honorable discharge to be eligible for the Post-9/11 GI Bill®. The Post-9/11 GI Bill® became effective for training on August 1, 2009. In addition to traditional degree-granting programs, the Post-9/11 GI Bill® was expanded on October 1, 2011 to include on-the-job training, non-college degrees, flight training, apprenticeships, and correspondence courses. Generally, benefits are payable for 15 years following your release from active duty. The Forever GI Bill (effective January 1, 2015) removes benefit expiration dates also known as the use-it-or-lose-it rule. Previously, veterans had 15 years after they were discharged to the use the money. Unfortunately this will not apply to all veterans as the cost to do so was too costly. Veterans whose last discharge or release from active duty is on or after January 1, 2013, will not expire. Those that were discharged or released before January 1, 2013 will still expire. Also, any service member who receives a Purple Heart, regardless of how long they have served, will be eligible for full GI Bill benefits. Previously, Purple Heart recipients had to serve for at least 3 years. The MGIB program, also known as Ch.30 or Ch.1606, provides up to 36 months of education benefits. You must have received an honorable discharge to be eligible. This benefit may be used for degree and certificate programs, flight training, apprenticeship/on-the-job training, and correspondence courses. Remedial, deficiency, and refresher courses may be approved under certain circumstances. Generally, benefits are payable for 10 years following your release from active duty.